It's clearly now time for the people of the city to chip in and do their bit to save its ground water. Seeing the ground water depleting at an alarming rate, we have decided not to give permission for sinking of new borewells in areas, which have Cauvery water supply, said a BWSSB officer. Bengaluru's water shortage has been a hotly debated topic for some time. The situation has reached a crisis point with BWSSB deciding not to permit the sinking of new borewells in areas that have Cauvery water supply. BWSSB has also shown it means business by warning those who don't opt for rain water harvesting that it will reduce their supply of Cauvery water, after hefty fines didn’t deter rule-breakers. Vanishing open wells, excessive digging of borewells and widespread encroachment of lakebeds have resulted in massive depletion of the groundwater table, with levels falling to 1,500 feet and more. It's time for strict action against the over-exploitation of resources, reports Aknisree Karthik. Bengalureans' worst fears are coming true this summer with the water board calling a halt to sinking of any new borewells in the core areas of the city, sending off alarm bells about its depleting ground water, that has been over exploited for years. With the city already home to over three lakh borewells, its water table has fallen to 1,500 feet and more in some areas, going by the BWSSB. “Earlier we got water within a 100 feet of digging into the earth, but this is no longer possible,” said a BWSSB officer, explaining the board’s decision to curb the sinking of new borewells. 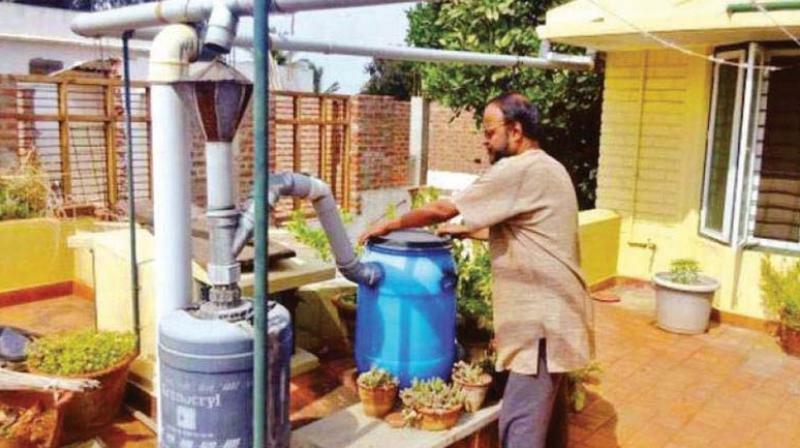 “Seeing the ground water depleting at an alarming rate, we have decided not to give permission for sinking of new borewells in areas, which have Cauvery water supply,” he said, however, adding that permission would be granted to people on the outskirts of the city and the 110 villages that have been added to it and which have still not got Cauvery water, to continue sinking them. "In summer we get a spate of applications for drilling new borewells. But in our meeting with officials of the Karnataka Ground Water Authority we decided not to grant permission for sinking any tubewells in the core areas of the city," he added. A telling sign of Bengaluru’s falling water table are its vanishing open wells, which both stored water and helped recharge its ground water in the past. Thanks to the over exploitation of the ground water most of these open wells have dried up, notes Mr Kalyana Sundaram, who lives in Kasturibanagar. “The water table has fallen so badly that you touch water hundreds of feet down in the earth when digging a borewell,” he notes. What’s more, many open wells in areas like Cottonpet and Akkipet have become sewage outlets. “Our open well provided us water for many years. But of late, the well has dried up and we find sewage seeping into it,” complained a home-maker from Cottonpet, blaming the unregulated drilling of borewells, which sucked the water out of the ground unchecked for years, for the drying up of wells in the area. It's clearly now time for the people of the city to chip in and do their bit to save its ground water by making sure there are enough recharge outlets around their homes and saving what little water they can, instead of wasting it as most tend to do in the mistaken belief that their supply is endless. 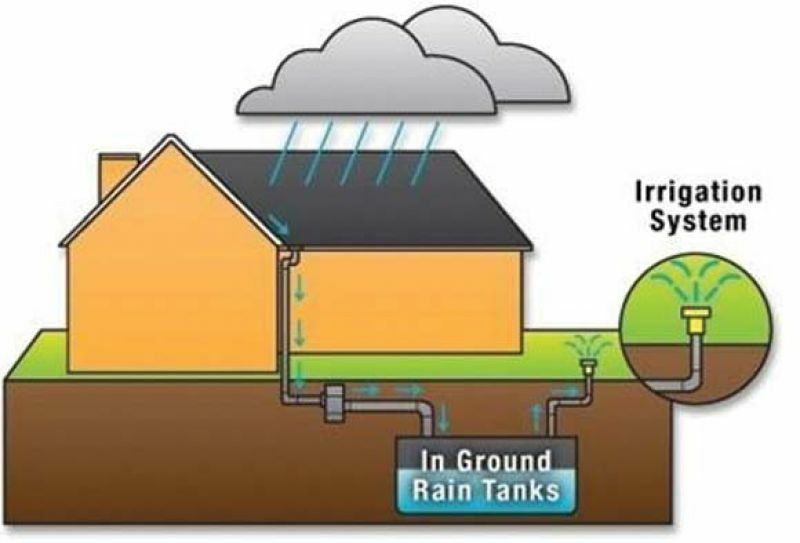 Not harvesting rain water? No more Cauvery supply! The BWSSB is at last showing it means business by warning those who don’t go in for rain water harvesting (RWH) that it will reduce their supply of Cauvery water unless they fall in line. The decision was taken on World Water Day recently and the BWSSB seems determind to act on it. Under the rules, all new buildings coming up on 30x40 feet plots and all existing buildings on 60x40 ft plots are required to install RWH structures in their grounds. The board has slapped hefty fines on defaulters in the past, but it hasn’t helped much as of the identified 1.12 lakh water connections in the city, around 76,000 consumers have still not bothered to go in for rain water harvesting. Whether this will do the trick remains to be seen as the city’s civic agencies are notorious for their lethargy in enforcing the law , whether it be building bylaws or water regulations, resulting in the chaos that now abounds in Bengaluru.